ER BLOCK has a tradition of meeting customer needs since 1945. From the most complex installation to routine service and maintenance, ER BLOCK Heating, Air Conditioning and Refrigeration has the tools, the people, and the products to provide a system that fits your lifestyle and budget. Ask us for references from your neighborhood. Then let us show you how ER Block Heating, Air-Conditioning and Refrigeration can exceed your expectations in service and performance. You can count on us now, and for many years to come. We also offer a 100% money back guarantee - no hassles! Proud to serve Southern California and the Inland Empire Including: Riverside, Corona, Norco, Eastvale and Surrounding Communities. 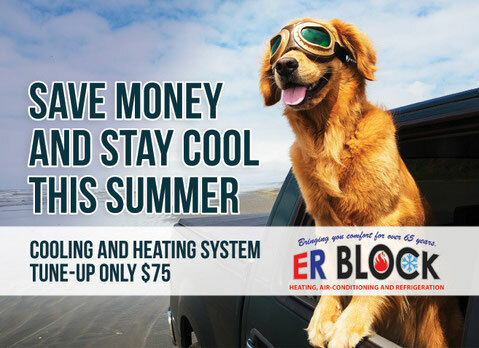 For more information on our repair services or replacement systems call ER BLOCK Heating, Air Conditioning and Refrigeration today to talk with one of our HVAC specialists at 951-734-1881 (Corona Area) / 951-687-9944 (Riverside Area) / 909-881-9595( San Bernardino Area) or, complete our online request form on the upper left of this page.